March 6 is National Dentist’s Day, a day to celebrate the men and women who keep our chompers chomping, our gnashers gnashing, and our whites pearly. Dentists are doctors who specialize in oral health. 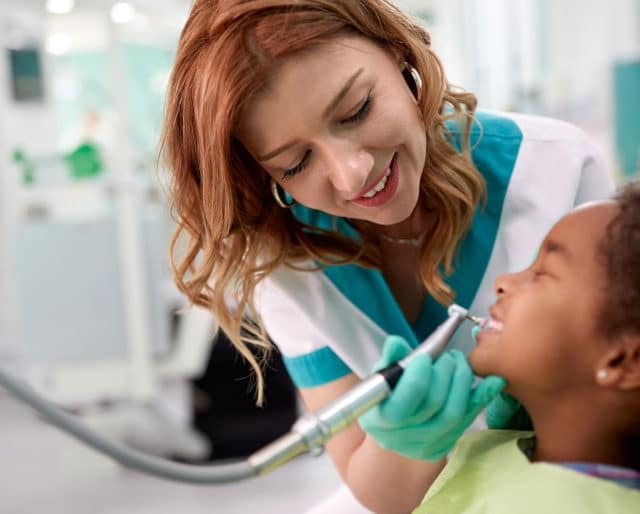 It’s their job to prevent, diagnose, and treat oral diseases, monitor the growth of our teeth and jaws, and perform surgical procedures on our teeth and mouths! Dental health is integral to our overall health, so today we salute them not just for keeping our teeth looking good, but keeping our bodies in tip-top shape. Nothing makes your dentist happier than knowing you’re taking care of your teeth. To celebrate National Dentist’s Day, spend a few extra minutes brushing your teeth. You could even floss and use mouthwash today, and know that, somewhere out there, your dentist is smiling. Since we only go twice a year, it can be easy to forget to make a dental appointment. Take a few minutes out of your day to schedule your next cleaning! It’ll make you feel accomplished, and your dentist will be so happy to see your smiling face! Being a dentist can be a pretty thankless job, so take a moment to write your dentist a note to let her know how much you appreciate her hard work. Let her know you brushed her teeth extra hard for her today, or simply say, thank you for all you do — it’ll be sure to make her day. Our smiles — including our teeth — are one of the first things that people notice about us, and dentists help keep them looking good. Whether it’s encouraging us to floss or taking care of pesky cavities, dentists ensure that our teeth are sparkling and our smiles are confident when we face the world. A lot of people are scared of going to the dentist, and it’s easy to understand why! Popular culture sets up going to the dentist as an altogether terrible experience, and nobody has ever liked having a root canal! But even when the jobs they have to do are hard, dentists are there to chill us out, calm us down, and get us through tricky procedures with as much grace as possible. Healthy teeth mean healthy bodies, and from the first time we visit the dentist, they are there to keep our mouths and bodies healthy and happy. Anyone who has ever had a toothache knows that painful teeth can take over your life! But dentists are there to make us feel our best, from head to toe.